How can service design help us make better policy? Developing policy in government is hard; applying the perspectives and skills of service design can help. That’s the disarmingly simple premise of this post (and the new blog it comes from). If we understand where there are risks in developing policy, and understand the ways in which service design approaches can help mitigate those risks, then we should be able to get first to better policy and then, as a result, to more effective delivery. The aspiration is a good one and the potential benefit is large – but as Paul Maltby has described, there are some real obstacles to effective dialogue between the two perspectives which need to be overcome. What we get wrong about technology boils down to two things. The first is that simple, cheap and pervasive – and often near-invisible – technologies have more transformational power than things which are more obviously new and shiny; affordability beats complexity. The second mistake is to think that the impact of a new technology is driven by its technical availability, when the key date is its transition to economic and social availability, with lags which are sometimes very short but which can be very long indeed. This essay draws on examples from the invention of printing onwards to make the point that we might need to look in less obvious places for the technologies which will drive the next round of change. The impact of technology on employment often focuses on the jobs at risk of being automated out of existence, not at the ones which might be created, either because of new technical possibilities, or as a consequence of increasing wealth and disposable income. This research looks at how patterns of employment have changed by tracking census data on occupations from 1871 to 2011 and concludes, not altogether surprisingly that their distribution has steadily changed, with patterns ranging from a steady decline in agricultural labourers and launderers, to telephonists rising to a peak in 1971 before declining by 2011 to the level of 1911 – and accountants, hairdressers and bar staff showing relentless growth, which is either the triumph of the service economy or an alarming step towards the reality of the B Ark. Critically though, the conclusions are that although technological unemployment is very real, the stock of employment is not fixed or limited by technology, and that there is every reason to expect that new – and often unforeseen – jobs will continue to be created, as they always have been. Link to the full report below – there was also a good summary of it published in the Guardian. 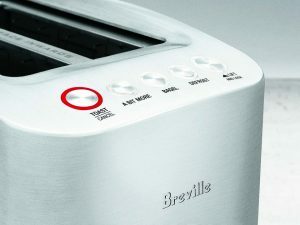 The user interface of a toaster is an unlikely starting place for an essay about the nature of design, but it turns out to be a way into a discussion of some challenging questions, including whether design is an exercise in democracy, an act of genius, or something else altogether. The conclusion is that the purpose of design is to make things more the essence of themselves, and that in this example, at least, it is to identify an ‘obvious but still unseen problem’ and to solve that problem in ‘in an elegant way that is also delightful to use’. That risks collapsing into triteness, but the underlying question is a good one. Toasters have been around – fundamentally unchanged – for a century. So radically changing how they work (while at the same time barely changing how they work at all) is not a trivial achievement. It’s worth reflecting both on what lessons that might have for the application of design to public services – and on what obvious but unseen problems are waiting to be found. A straightforward and very useful post which does exactly what the title says – a step by step explanation of what AI can now do, what it might be able to do and what there is currently no prospect of its doing (for economic as well as technical reasons). This is not a post which self-evidently belongs in Strategic Reading: it’s about how a software developer should work with her boss to get things done. But the suggested approach has two devastatingly simple elements which have much wider resonance, first that understanding the position and priorities of the organisation as a whole is important in addressing even what might appear to be quite small problems; secondly that based on that foundation, prioritisation can and should be a neat constant activity, driven by the need to manage down uncertainty. It’s worth reflecting on where else these ideas might provide and effective way of getting good things done. Most of what appears on Strategic Reading is gleaned from social media in one way or another. This is the first which comes from a direct reader suggestion – so thanks to Stephen Gill. Interesting links are welcome, either through the site itself or by tweeting to @StratRead. It is – or should be – well known that 82.63% of statistics are made up. Apparent precision gives an authority to numbers which is sometimes earned, but sometimes completely spurious. More generally, this short article argues that humans have long experiences of detecting verbal nonsense, but are much less adept at spotting nonsense conveyed through numbers – and suggests a few rules of thumb for reducing the risk of being caught out. Much of the advice offered isn’t specific to the big data of the title – but it does as an aside offer a neat encapsulation of one of the very real risks of processes based on algorithms, that of assuming that conclusions founded on data are objective and neutral, “machines are as fallible as the people who program them—and they can’t be shamed into better behaviour”. All the signs that you would expect to see in the labour market and wider economy if robots were displacing jobs are absent: productivity is not growing rapidly, labour turnover is not going up, and employment remains high. That’s not to say, of course, that automation isn’t happening – and Surowiecki is careful not to say it – or that what has happened up to now is an infallible guide to what will happen in the future. But this article does contribute to the recognition that technological progress, the social and economic adoption of that progress, and the wider impact of that adoption are all very different things, potentially with very significant lags between them. That perspective is now coming through more strongly elsewhere as well – which should mean that the debate can be more balanced. The success of Amazon has been told many times and in many ways. This is one of the less obvious and more compelling versions, focusing on the power of treating its internal systems and relationships as if they were external If they are good enough for other people to want to use them, that’s a good sign that they are good enough for Amazon to use for themselves. It’s clearly worked pretty powerfully for Amazon. That’s interesting in its own right, but it also raises some important and difficult questions for organisations which are not Amazon, perhaps in particular for governments, which are quite heavily insulated from the consequences of customer satisfaction. 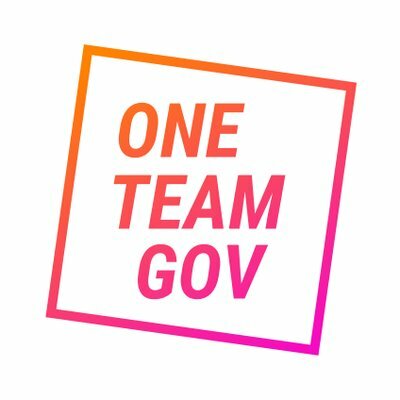 Government is not the next Amazon, nor should it be, but it’s worth reflecting on whether there is a similar process by which a drive to quality improvement could be designed into processes and systems. Organisational transformation is a very big and very difficult problem. We tell each other stories of transformations which have failed, or fallen well short of their ambition, much more often that we find stories to tell of triumphant success. This post doesn’t attempt to contribute to the grand theory of organisational change, but presents a very simple (which is not at all the same as easy) list of ten practical ways of improving the chances of success. When demand fluctuates, the costs of meeting it can easily go up and its quality can quickly go down. Some public services seem designed to maximise peak demand, others need to be ready to respond to demand which fluctuates for external reasons. That’s an aspect of service design which is often overlooked: the need to optimise individual interactions and the system supporting them is much more obvious than the opportunity to influence (and in some cases directly manage) the pattern of activity over time. So it’s worth reflecting on the scope for improving both service quality and efficiency by better managing the flow of demand. How mad should you be to work here? Ben Holliday is leaving the mad hatter’s tea party of government, worrying in his valedictory post about the risk that he was starting to go native, to see the madness as normality. That’s a good concern to have (and retaining a sense of alienness is a much underrated skill), but there is a reverse danger too: not being aware enough of the constraints and opportunities given by organisations (and their cultures and contexts) brings a real risk that even the best intended change fails to deliver its potential. There is a sweet spot to be found – having enough experience and understanding to be effective in a particular environment, but not so much as to fall into the trap of thinking that everything is as it can only be. Alice may have left the tea party to save her own sanity – but the tea party went on unchanged without her. Perhaps if Alice joined up with Bob and stayed a little longer, the cycle might be broken. Why Even Bother With a User-Centered, Digital Gov’t? There is lots of attention and activity around the question of how government should be made to work better, and in particular how it should be made to work better with modern technology. There is much less attention given to the question of why doing that is a good thing. This piece is an attempt to fill that gap from somebody who has been thinking about these issues pretty much from the beginning. It’s an extremely good first answer, but it is, of course, not the only one possible. It will be interesting to see if others rise to the challenge Tom poses. This is highly distilled very uncommon sense from a sharp observer of government in both the UK and Australia. 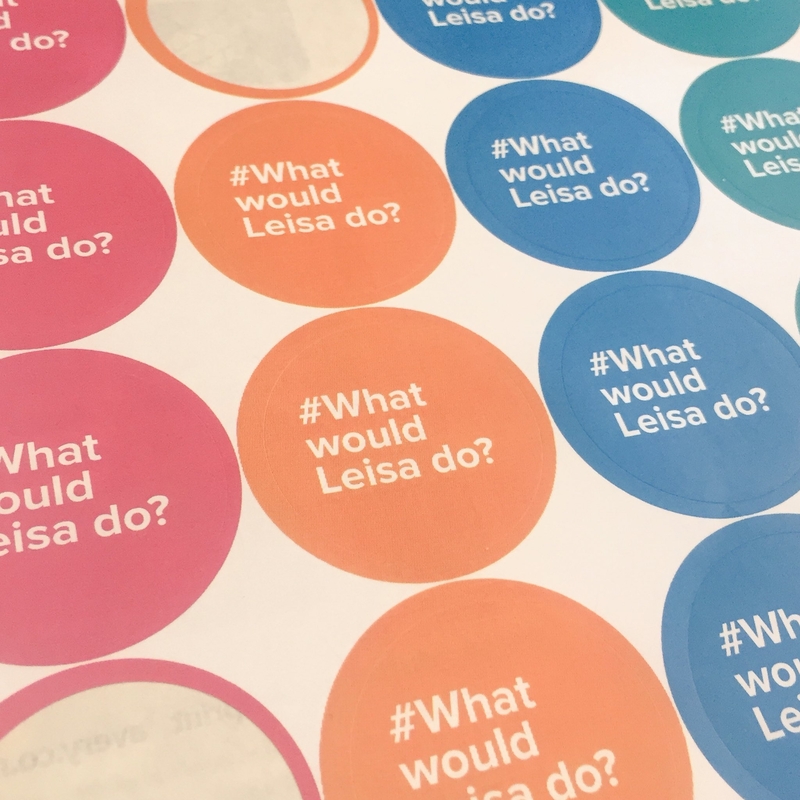 At one level it’s about user research, which is unsurprising as that’s the core of what Leisa does, but the implications are very much wider – which is equally unsurprising as that is the ever less hidden power of user research. As she observes, most people want to spend as little time as possible thinking about government services. Much follows from that simple insight.